New featurette goes behind the scene of Schrader's acclaimed drama. Sitting at the top of many cinephiles' Best of 2018 lists is writer/director Paul Schrader's First Reformed. 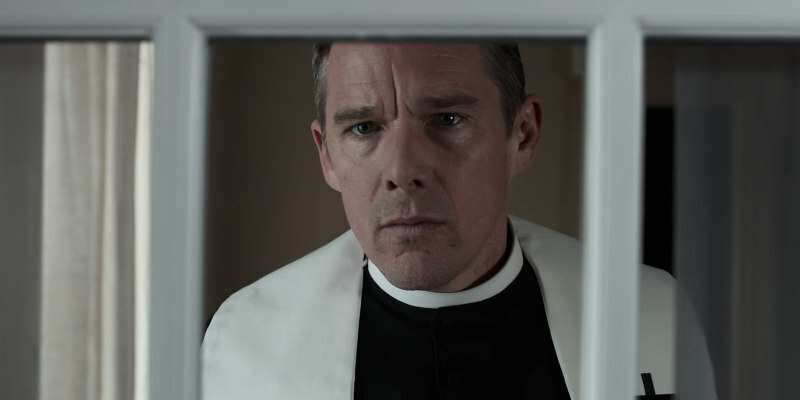 In the film, Ethan Hawke plays a pastor who finds himself questioning his faith while drawn into the world of environmental terrorism following an encounter with a troubled parishioner. A new featurette sees Schrader and Hawke discuss the inspiration and execution of one of the finest movies of the century. First Reformed is in UK/ROI cinemas now.